Paul passed away April 6, 2016. Paul lived a remarkable, self-styled life as he rose out of a tough childhood. He was born December 4, 1926 in Canton, Ohio. After moving to southern California, Paul graduated from Hollywood High School. As a youngster Paul loved the outdoors, especially fishing. After high school, he attended the University of Utah, where he studied flying. Following university, Paul joined the U.S. Army Air Corps, became a pilot, signed on with Western Airlines in 1952. 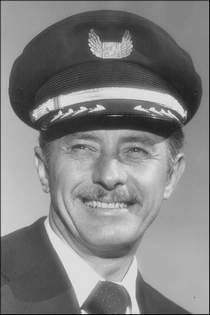 He was promoted to captain in 1962, and would spend the remainder of his working life with Western/Delta Airlines. Paul married Beatrice Werker in 1952 and together they built a family. Paul instilled a love of the outdoors in his three daughters, and the family enjoyed many camping and fishing trips to national parks of the American west. Paul loved tennis, golf, and collecting stamps, but no hobby could rival his love of flying. Paul always took every opportunity to pilot the latest and next larger aircraft. Before he retired, he flew DC-10s. His most treasured times were spent with his family in Yosemite National Park. Paul is survived by his daughters, Elizabeth Ryan (Betsy) of Moorpark, Calif., Paula Stunz of Medford, Ore., and Pamela Britton of Jacksonville, Ore.
Beatrice Stunz, 83, of Medford, Ore., passed away Monday, July 11, 2011, at Rogue Valley Manor Healthcare Center. Arrangements by Rogue Valley Funeral Alternatives 541-770-6505. 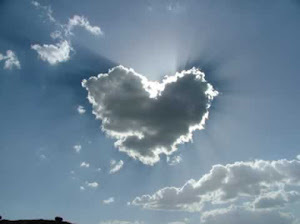 Beatrice E. Stunz passed away peacefully July 11, 2011, at the Rogue Valley Manor with her family by her side. Bea was born to Deborah and Matthew Werker, November 24, 1927, in Providence, R.I. After spending her formative years in Providence, the family moved to Southern California. Following the war, Bea found work with Southern California Gas company. After a short stint with this firm, Bea moved on to Northrup Aviation. Shortly thereafter, Bea went into training to become an airline stewardess. She flew first for Northern Continental Airlines. It was while working at this airline that she met pilot Paul Stunz. They married on April 18, 1952. She and Paul raised three daughters. She was active in her church singing group as well as offering guidance to the local girl scout troop. As a lifelong volunteer, she directed the library at Rossmoor in Walnut Creek, Calif. 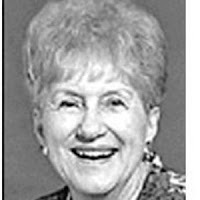 Upon retiring to Oregon, she held the same position at the Rogue Valley Manor. Bea was an avid reader throughout her life. While living in Rossmoor, Calif., Bea taught tap dance for 16 years. She taught three levels of dance, and was a very popular instructor for Contra Costa, Alameda and Solano Counties. While involved with dance at Rossmoor, Bea danced with the Rossmoor Rockettes. With great cultural curiosity, Bea and Paul, and sometimes with daughters, Pamela and Paula, traveled six continents. Bea enjoyed the Oregon Shakespeare Festival, movie going and reading. She is survived by husband, Paul; daughters, Elizabeth, of Moorpark, Calif., Paula, of Medford, Ore., and Pamela, of Jacksonville, Ore.; two grandsons, Chris and Scott; three great-grandsons; and one great-granddaughter. Per Bea's request, no ceremony is planned; however, memorial gifts may be made to the Rogue Valley Manor Library or to Friends of Mount Diablo.